We’re Freewheel Bicycle Co, and we’re here to serve every single cyclist in Madison, and to make a million more. We’re growing in big ways and we need you to help us make it happen! We’re a time-tested Madison community nonprofit where your donation will be put right to work. In the 15 years Freewheel has been working, we’ve given away more than twelve thousand bikes to those in need and taught over than six thousand students the skills to maintain their own transportation. We’re on the front lines of recycling, and have diverted hundreds of tons of bikes and bike parts away from the landfill and back onto the road. Each of our instructors learned from a past volunteer. We follow the each-one-teach-one method and share skills, experience, and resources with our community. Financial donations help us offer professional teaching and mechanic services to people who can’t pay, gets us the parts and tools that don’t come in as donations, and covers the things that only money can buy. We’re happy to announce that we are opening a brand new location Downtown in the Judge Doyle Square building! (Learn more here!) 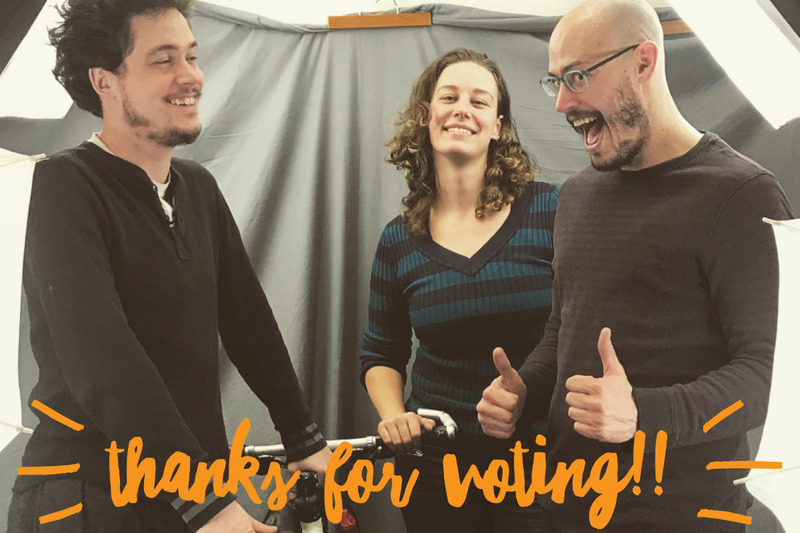 To make this happen, we’re going to need a boost to double our classes, furnish a new workshop space, and get new students off the ground and biking! We have thank-you gifts available for those who support us at any level.. To receive a gift, please make sure you give your full contact information: name, phone, email, and address when you donate, or we won’t be able to connect with you! $1 donation: Level A gift: A handwritten personal thank you from us to you, and a ticket to our launch party. $5: Level B gift: Show off your friendship with Freewheel Bicycle Co with custom-made vinyl decals, and all Level A gifts. $30: Level C gift: one of a Limited GoFundMe only run of handmade screenprinted Freewheel Bicycle Co 2019 t-shirts, and all Level A and B gifts. Make sure to tell us your T-shirt size! Invitations to members-only events and rides! $5000: Extremely rare 1990s Trek Racing Team letterman jacket, a 3 year Commuter Membership, plus all level A, B and C gifts, and your name on the wall as part of our hero board of top supporters. Thank you all so much for sharing and voting for the American Family Insurance grant. We won!!! We will be receiving $3500 which equals 500 bikes that can be given away to people that need them and ongoing support from our wonderful mechanics! We are so excited and grateful to have your support. But it doesn’t stop here! The Go Fund Me for our new location is going strong and the next $7000 you donate WILL BE MATCHED! For people who can't find where to enter their contact information so we can send your thank-you gift... We'll email you to collect your contact information (and T-Shirt size!) after our fundraiser is finished.